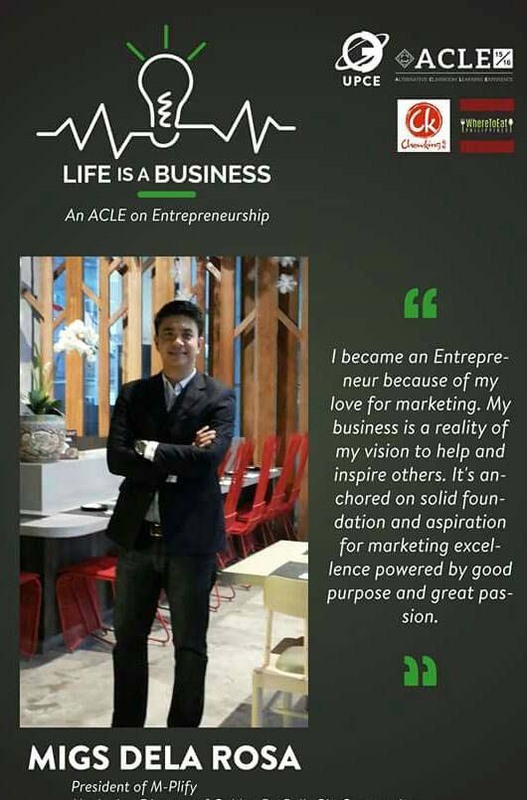 As a commitment to Corporate Social Responsibility, I am pleased to be imparting my marketing experience and expertise to young entrepreneur hopefuls in the UP Circle of Entrepreneurs’s upcoming event, Life Is A Business on October 15, 2015, from 1:00-5:00pm at the VSB Room, University if the Philippines, Diliman Quezon City. 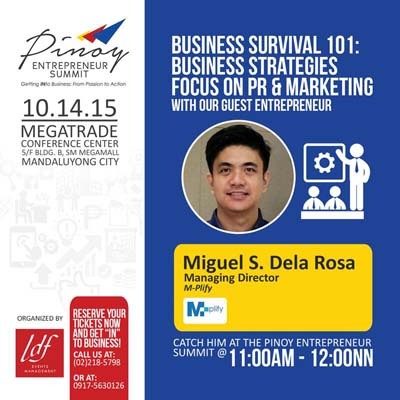 Other guest speakers include entrepreneurs, namely RJ Ledesma. Ziggie Gonzales. Jairus Ferrer, Nol Montalbo, and Arnold Reyes. Looking forward to meet and inspire these future drivers of the Philippine economy.